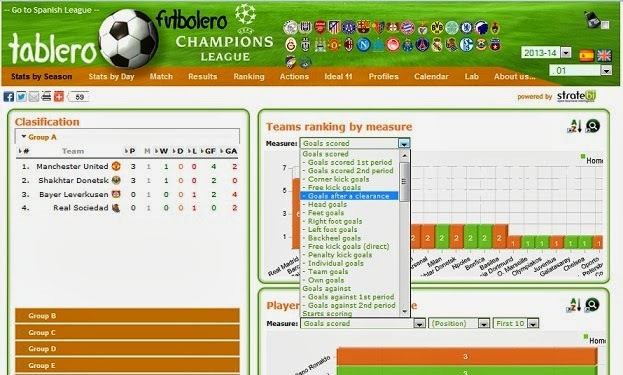 Champions League Dashboards 2013/2014 ~ Business Intelligence y Big Data: ¡Aprende Gratis sobre Analytics! Now it´s playing the new season of the Champions League, it´s available all the statistics in the web application created with the best open source Business Intelligence tools (Pentaho, Kettle, Mondrian...). It records data from last six seasons. Play and Fun! !